If you have been an RPG developer for more than 10 years my guess is you are familiar with Code400. It is “one of the few remaining open to the public IBM i specific forums on the internet”. Code400 run by Jamie Flanary has been around since 2003 and they recently updated their website. There are thousands of forum posts and discussions covering anything relating to the IBM i (AS/400) Administration and RPG development. It’s the place to go for veterans and newbies alike to collaborate on the latest advancements in the IBM i technology stack. You could call this the home for the IBM i full stack developer (RPG Developer). No matter what you are looking for there is a good chance you will find it here. So, if you have any questions, need help, are curious or just want to help out your fellow IBM i Developers you can do so over on the Code400 Forum. On to this week’s issue. 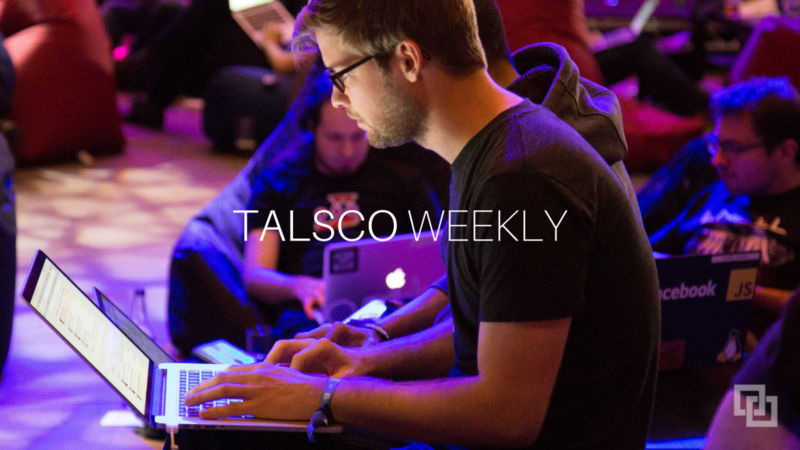 Welcome to this week’s edition of Talsco Weekly. News: IoT, Digital Transformation and AI is spreading globally. Development: Third Party Payment software integration and the lost art of Software Documentation. Leadership: IBM i Strategy and Roadmap along with insight about the growth of Power Systems. Open Source: Python and SAP both have a place on the IBM i. Trends: Humans will drive Business Transformation. And in the future, we will all be developers. If you are a manufacturer relying on the IBM i as your business system, IoT lets you do some really interesting things. Originally, IoT was for connecting machines in the workplace but when you add an AI layer it can lead to real value to both internal and external customers. Think about the possibilities. As I work with clients across the United States, software documentation is always an important topic because often RPG consultants or new RPG Developers have to go in and work on legacy RPG systems with little or no documentation. As a starting point, this is a good guide covering why software documentation is important, who it is for as well as what to include. Do you know a Norm? Or, maybe a Norma? They save their companies a ton of money by upgrading existing systems with IBM i. Watch the video. This is for anyone who is in the position of making a decision about the future of the IBM i platform within their organization. When you average it all out, from my model at least, it looks like the Power Systems hardware business – not including operating systems and integrated databases like the IBM i platform has bundled with it – grew by 8.8 percent in 2018 to just hair over $1.6 billion. One of the best-known Software Developer communities and Forums on the web is Stack Overflow. It’s a go-to place for software developers to go to get answers to questions and connect with the open source community of developers. The link above is to question on their forum about using Python on the IBM i. Someone in the IBM i community might want to venture over there to add some insight. There are also IBM i topics relating to PHP, C#, Node.js, and virtually any open source programming language. SAP like IBM i, has been working with open source for a long time and it started when SAP R/3 was ported to Linux. This article gives more evidence that the future of the enterprise will win or lose based on being able to deliver customer-centric applications that help drive Business Transformation. “Historically, technology adoption often has been a slow and painful process where users have had to be “trained,” depend on incomprehensible manuals.” But this is no longer the case. User’s today are far more in tune with software applications and how they work. The Maker Generation is on the horizon. In the early days of development, software was built by hobbyists like Bill Gates and Steve Jobs. Then the big boys like SAP came in and built software the was to be managed by enterprise teams ranging in the hundreds or thousands of members. More recently we have seen SaaS take off along with the App driven economy. The future will be different. We will build our own software. It will be based on building blocks and can be used to design your own software.